One of the most typical accessories for table are the candelabra. A piece that gives intimacy, closeness and warmth. Also it’s a precious object present through time, a classical wedding present, a family legacy or a masterpiece for a dinning room. But, far away for that purpose, sometimes it’s difficult to make it fix in relaxed places like a bedroom or on a tea table. 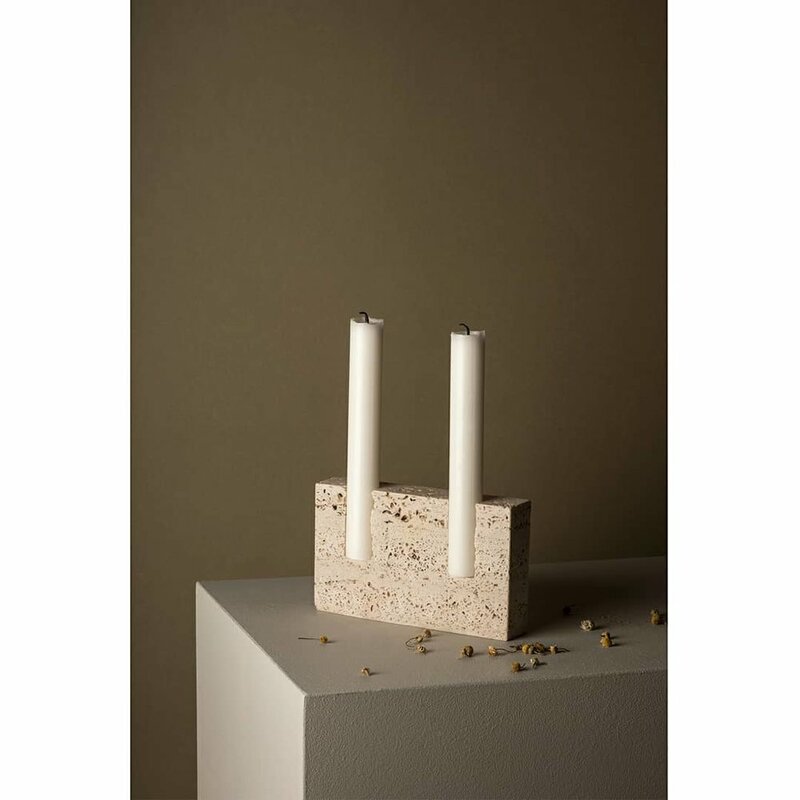 Simplicity it’s (almost) always the answer and if you want to create the perfect atmosphere for an special momento, you can get it with that handcrafted candle holder in natural stone. 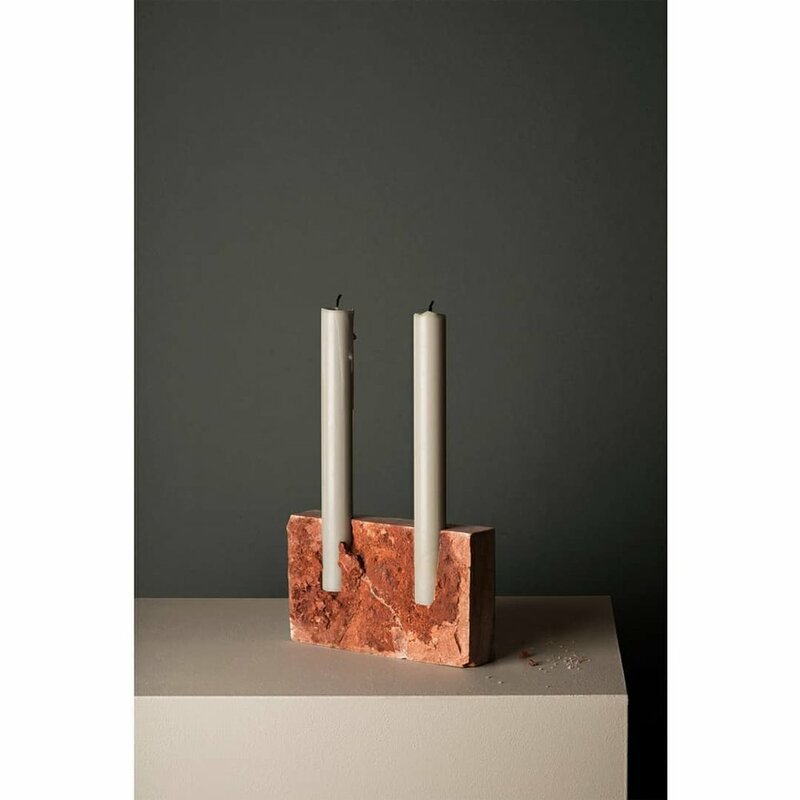 Designed by Sanna Völker the Swedish designer who’s made the statues of the Sagrada Familia (the cathedral of Barcelona) a reality, that candelabra it’s an example of real care of raw materials. Each piece became from an unique stone, that means that each piece varies in shape, tone and texture it’s one in a life time. From a tavertino stone, the cut is made by hand. 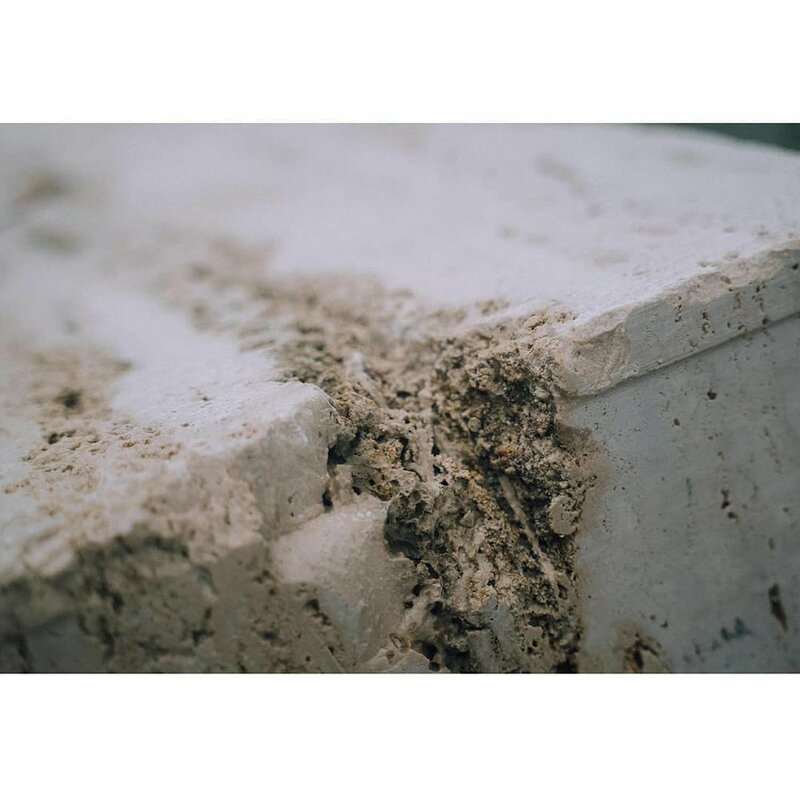 One side shows the real nature of the material, rough, brutal and imperfect. The other side, is polished until it shines, remaining smooth, perfect and soft. Both personalities in one minimal peace available in different tones: red tavertine, beige cenia , grey Sant Vicentç and bone white tavertine.